The Work is a simple yet powerful way to identify and question the thoughts that cause all the suffering in the world. Prescription for Happiness is an opportunity for beginners to discover The Work and for others to go deeper and experience the wisdom of the living turnarounds. Throughout the workshop, Roxann will share her experiences in The Work and support you in finding practical ways to live the insights you find through inquiry in your everyday life. This workshop is open to all levels of experience, whether new or experienced in The Work. For new people to The Work, we suggest that you read Loving What Is by Byron Katie, go to thework.com and listen to/watch Katie doing The Work, download the Judge Your Neighbor worksheet from the website and "practice", and/or email Roxann (iam.roxann@mac.com) to schedule a private session. All are welcome regardless of experience and you may find some introduction to The Work useful. Roxann, Katie's daughter, witnessed the beginning of The Work. Roxann Burroughs is a Certified Facilitator of The Work. She has years of in-depth experience living The Work and making it come alive in a loving, kind, and practical way. 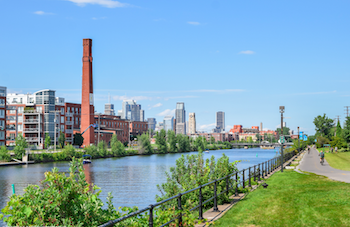 Located on the Lachine Canal, in walking distance from the Atwater Market.